One mile north of St. John Town Center on St. John's Bluff Rd. 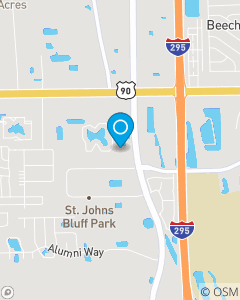 Our mission is to be the Jacksonville Metro Area's premier choice for insurance and financial services. We strive to exceed our customer's expectations in every interaction.